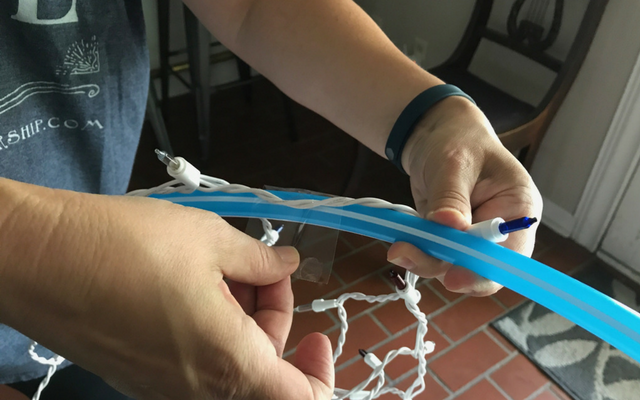 Always looking for different ways to use Christmas lights, we were intrigued by this easy do-it-yourself light chandelier we found on Pinterest. 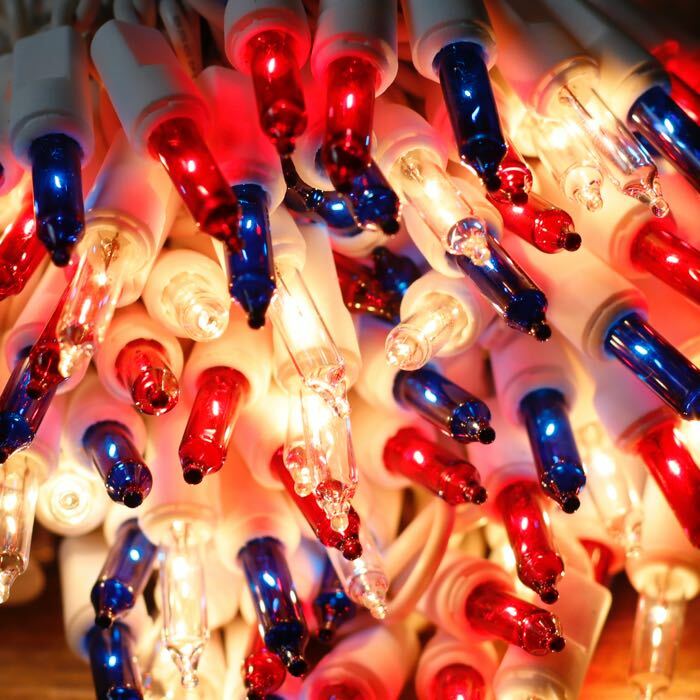 (Source:Sarahontheblog.blogspot.com via Jane Davoli) Since so many of our celebrations with lights involve patriotic holidays, we chose to make our chandelier red, white and blue. 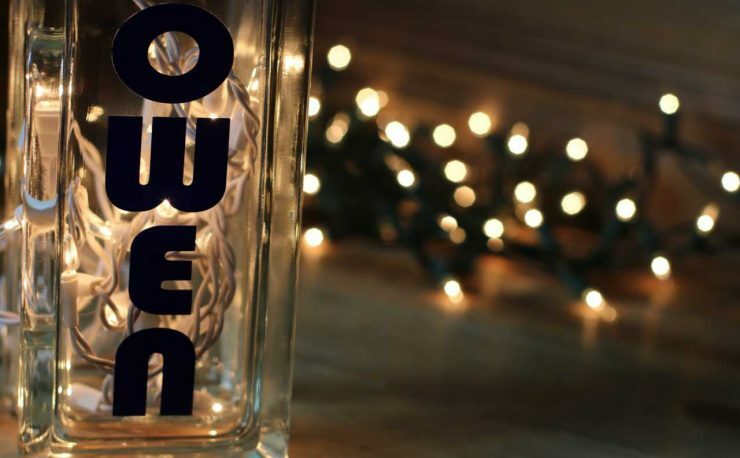 You can find icicle lights for this project here. 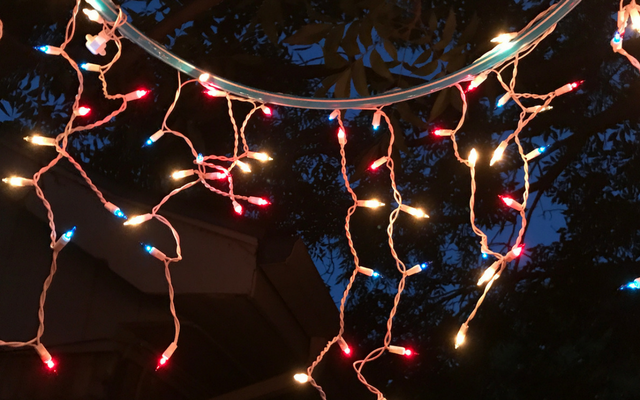 As you can see from the photo above, someone (me) didn’t properly store their icicle lights after using them for a project last year. After I spent a few minutes (okay, more than a few) untangling them, I plugged them in to make sure all was well. And they were beautiful! 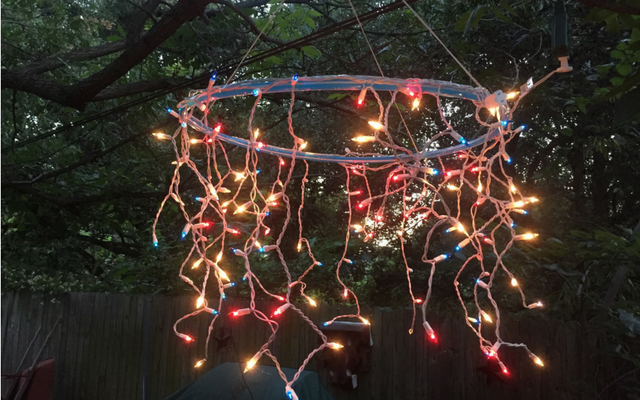 Then, I started attaching the lights to the hula hoop with clear packing tape every few inches. 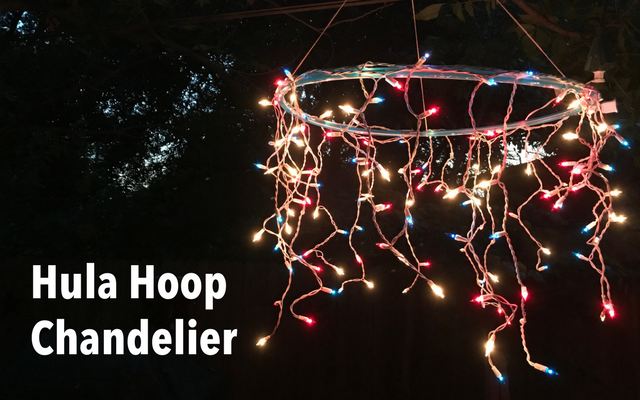 Packing tape easily holds the lights on the plastic hoop. 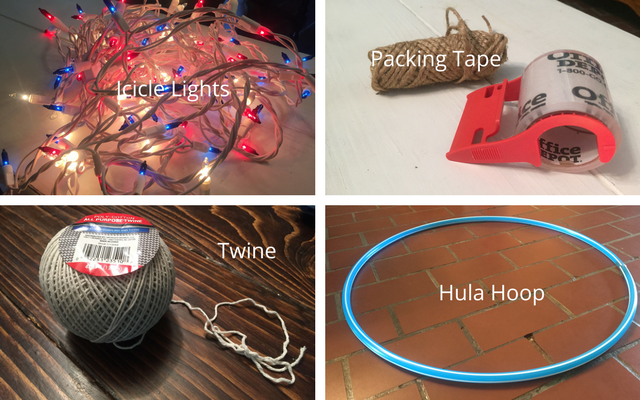 You could also use colored duct tape if you want to match your light string or hula hoop color. 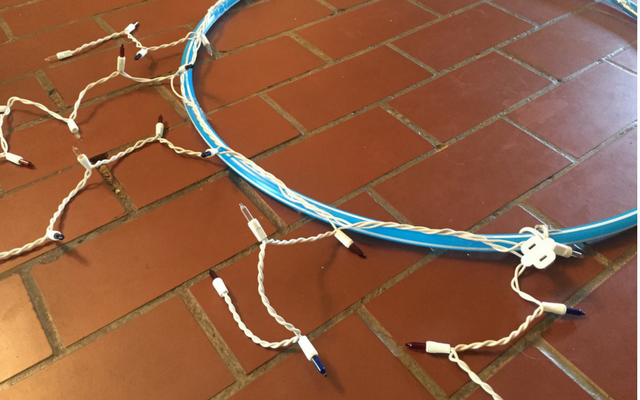 Continue taping the lights around the hoop until you reach the plug, leaving a bit of length so your project can be plugged in. I chose to hang my chandelier outside under a tree where I already have electricity available. I attached white twine to the hoop with slip knots in three places around the ring. I gathered those three pieces in a knot and simply hung the knot over a branch on the tree. 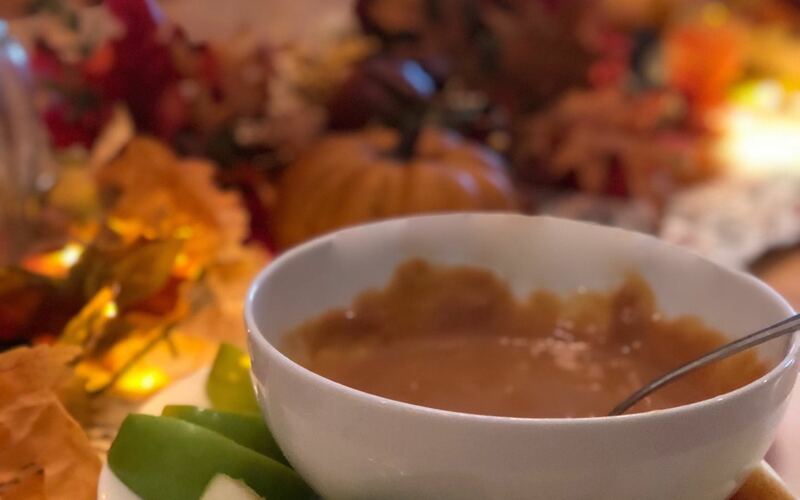 Customize the length of the twine to fit your needs. You could also use a hook or nail to hang your chandelier depending on where you decide to place it. 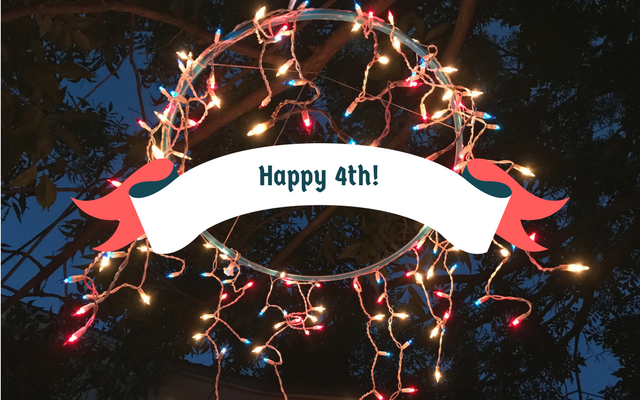 The red, white and blue icicle lights are perfect for my July 4th party. And, I may consider leaving the chandelier up for other parties during the summer. 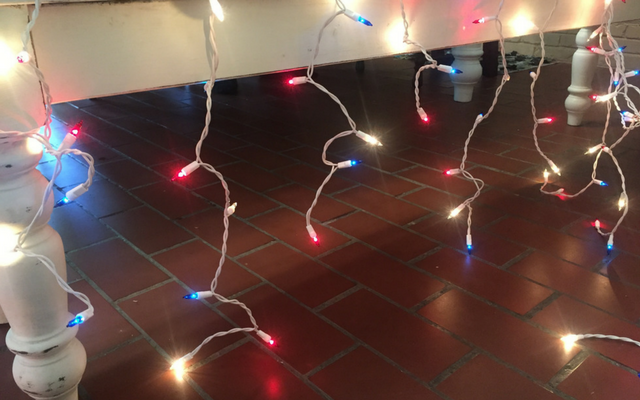 Lights always make a party more festive! 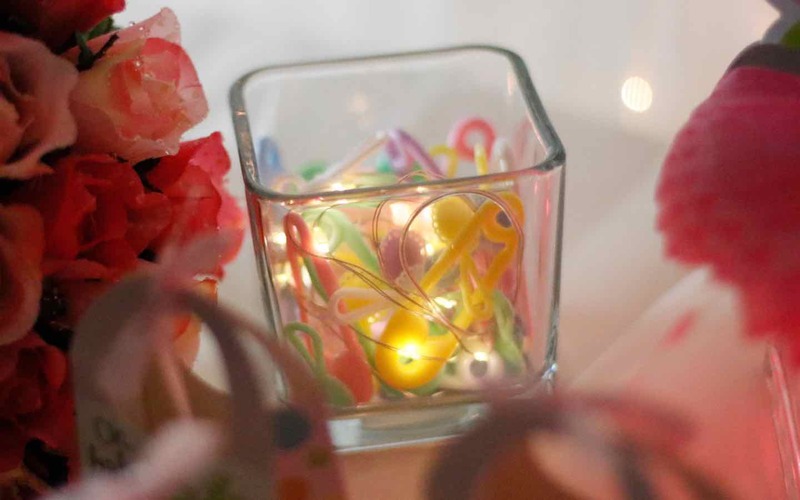 Pingback: Dorm lights – 10 ways to brighten the first day of school!